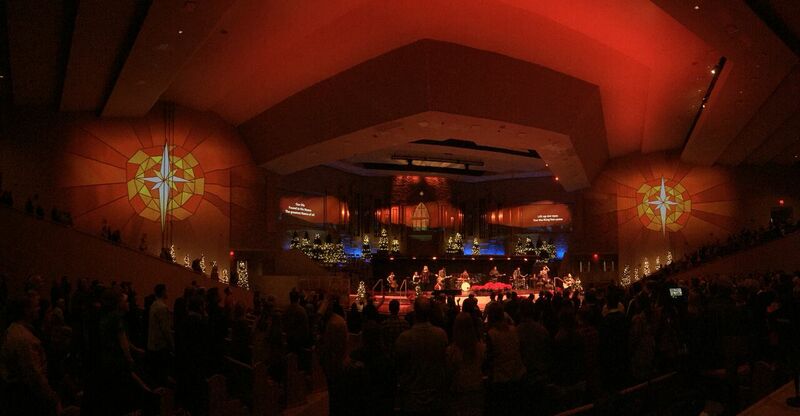 ArKaos PRO brings environmental projection to Asbury United Methodist Church. 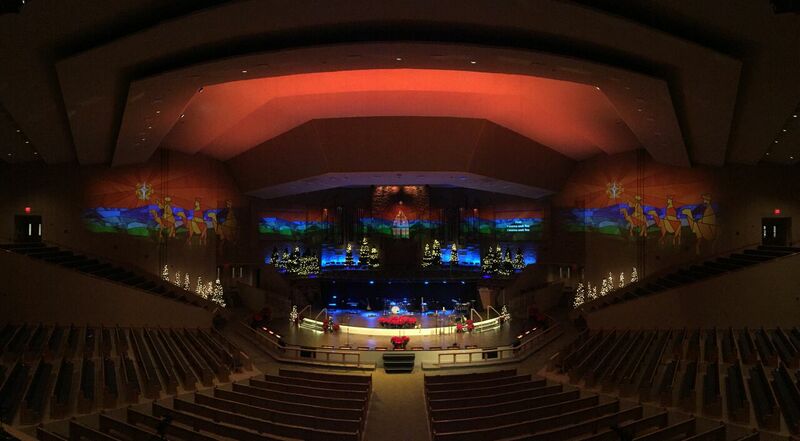 Asbury United Methodist Church in Tulsa, Oklahoma has chosen an ArKaos PRO Stadium Server running ArKaos MediaMaster 4 software to handle the environmental projection mapping at their church. Lighting Director, Tim Ottley, uses it to present some stunning visual backdrops across their 300ft wide/30-60ft tall walls to enhance both modern and traditional services. “Our aim was to create a short video clip as an opening sequence to the services over the five week period of Advent,” he says. “ We then break the video down into pieces. 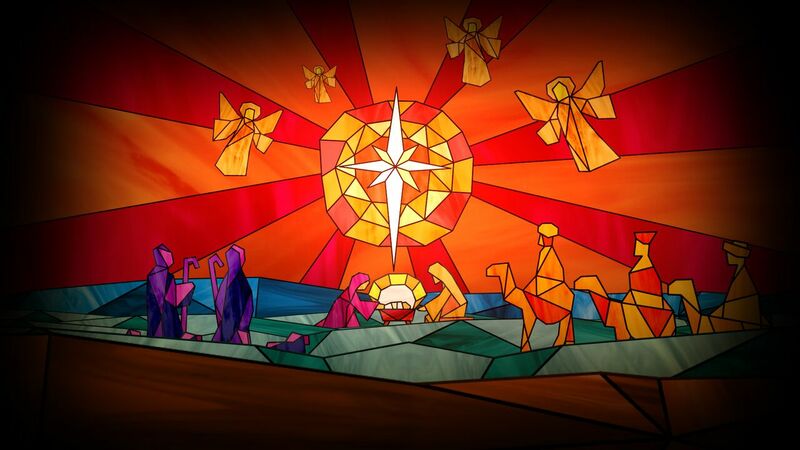 We use these individually as static images on each sidewall to change the appearance and mood of the room, and also transpose them in layers to build a more detailed picture, for example, adding the Wise Men or Angels to the scenic backdrop, which we can also run as a video sequence. 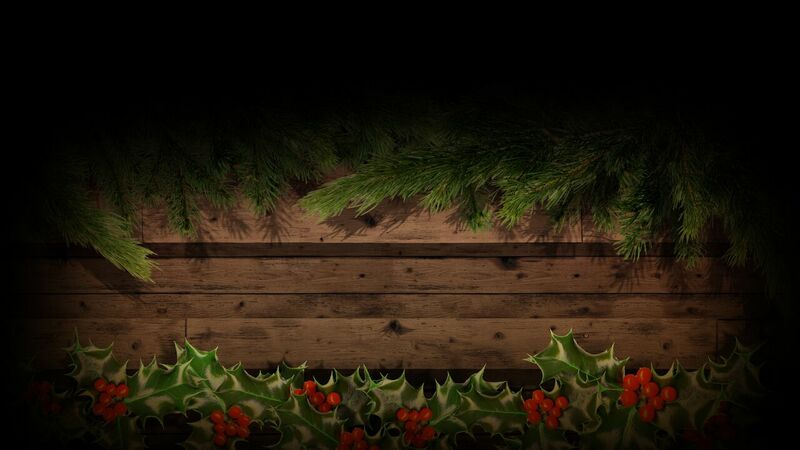 “We achieved this using MediaMaster to put each picture on its own surface and layer them on top of each other. We can choose on a week-by-week basis which picture we want as a welcoming image on each side of the room and, using the ‘Output’ function, I can output the same image to two different places. I can then replicate the output multiple times, having first removed the foreground detail and edge-blended the background imagery, and merge the repeats so they blend seamlessly into a backdrop that fills the space. Ottley created the surfaces and masking for each area of projection in the room using MediaMaster’s video mapping function. “MediaMaster makes it easy to tinker with the idiosyncrasies of a building as a projection surface, and once I had the templates in place I simply use them as the basis for dropping in new images. It makes the whole thing very fast and easy to use and I can achieve stunning and very different effects in a very short time. “Environmental projection is an exciting medium for a church as it transforms the environment and mood of the services from a passive experience to an engaging one that engulfs the congregation and draws them in. 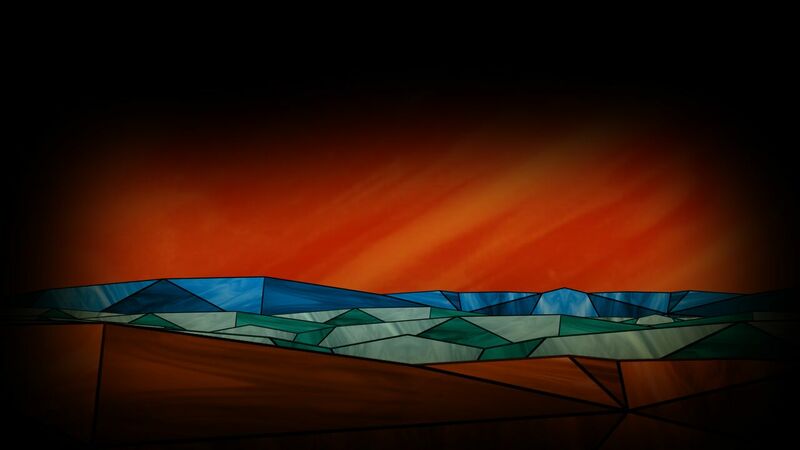 Images: Courtesy of Asbury United Methodist Church/Invisible Element.